SHOUT OUT!! Please head over to @charlottescafe IG page for your chance to a WIN DELICIOUS BRUNCH FOR 4! Competition ends on the 10th of April. The Inner West is one of Sydney's earliest suburbs with historic terraced houses and cute cottages alongside attractive renovated residences. Birchgrove, situated next to Balmain, is one such suburb that has undergone a revolution in recent years with families and couples moving into the area, transforming this suburb into a charming residential community. Alongside this burgeoning area, has been an explosion of cafes and restaurants, each attempting to be unique from the other. 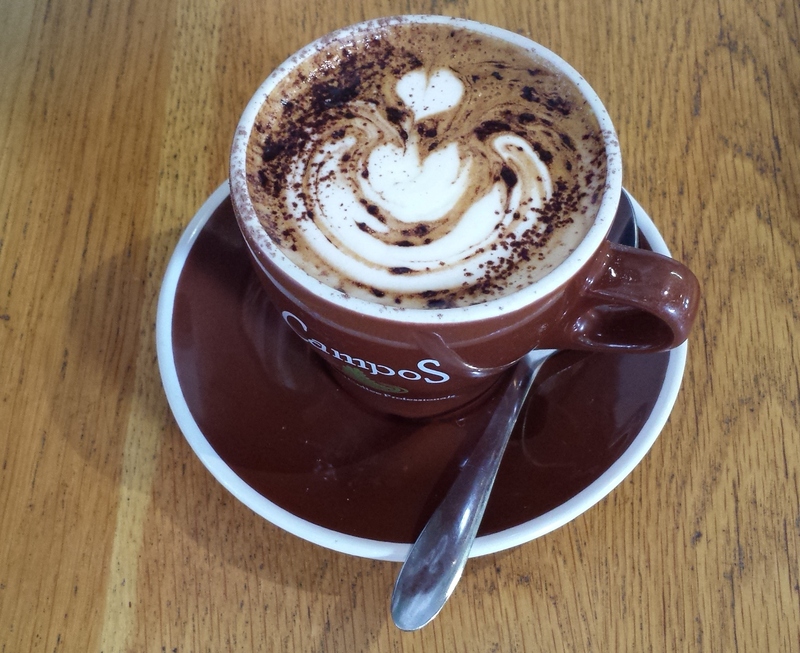 Charlotte Cafe at Birchgrove is truly distinctive. Middle Eastern cafe fare merging with traditional breakfast and lunch cuisine creating a diverse arrangement of options. My partner and I arrived for lunch and initially it was crowded and noisy. After 40 minutes, many people had dispersed and the clamour decreased. My partner ordered the Mediterranean Omelette containing mushroom, eggplant, goats cheese and pesto which included very tasty spices ($16.50). This was served with crunchy sourdough and salad. When the omelette arrived, we were amazed at the generous size and how flavoursome this omelette was. I ordered the Lamb Kafta Burger with house-made lamb kafta, whipped feta, spinach and tatziki ($11). Thick crunchy chips were added as the side. 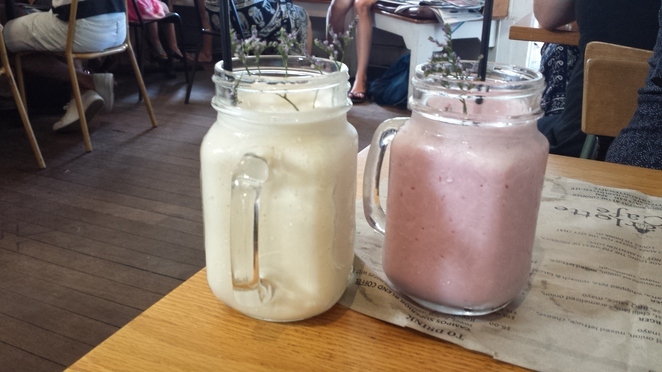 A Mixed Berry Smoothie and a Mango Smoothie ($6.50) were refreshing and the cappuccino which my partner ordered towards the end of the meal was wonderful. 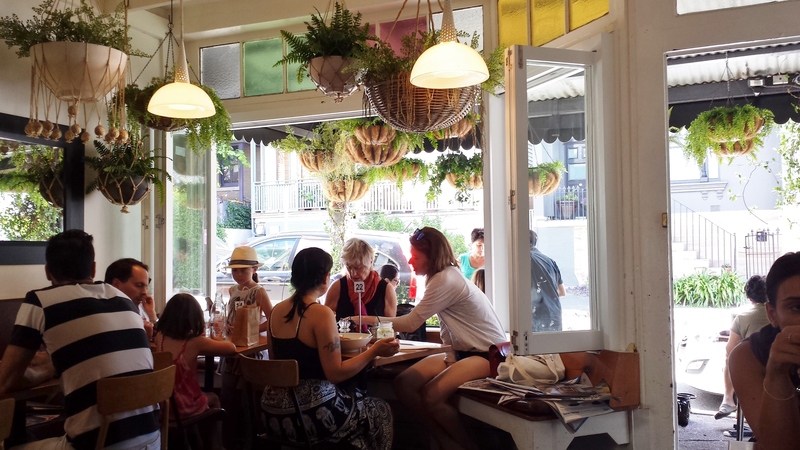 The interior of this cosy cafe is light and airy with a large window that opens out towards the outdoor seating. Charlotte Cafe at Birchgrove has been around for nine years. This first venture expanded into five more Charlotte Cafes around Sydney founded by Jason Ghebar. It is a family business but Mama oversees the menu selection and cooks up many of the dishes using her secret blend of spices. There are many other delectable delights on display. There were quite a few people lining up at Charlotte Cafe to order a snack on the run or enjoy a takeaway coffee. 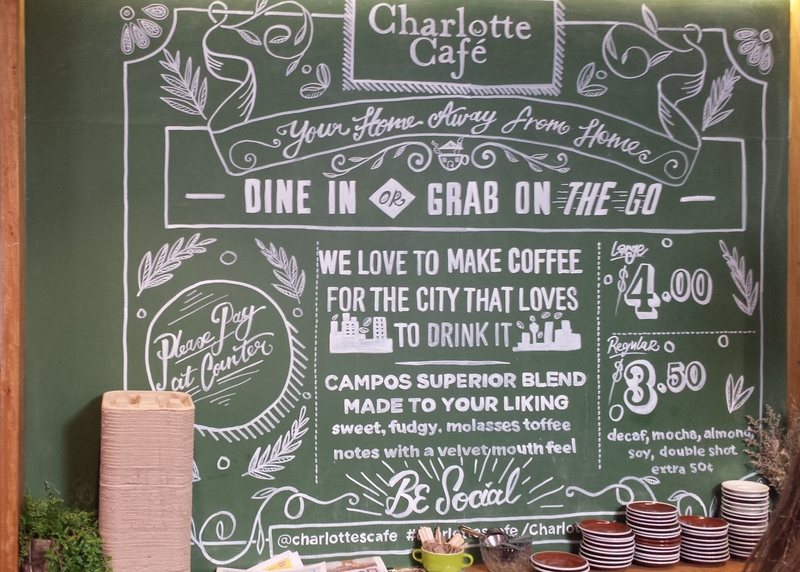 Charlotte Cafe is some distance from busy Darling Street, so it is a quiet suburban area with non-metered 2 hour street parking. The staff were helpful and friendly and the service excellent.